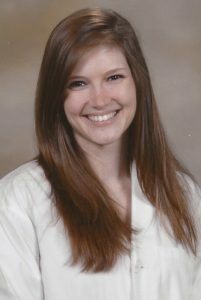 Mrs. Emily Duchesne is a nationally certified physician assistant specializing in ophthalmology. She completed her Bachelor of Science degree with honors from University of Louisiana at Monroe and then earned her Master of Science in Physician Assistant Studies from Louisiana State University Health Sciences Center Shreveport. Mrs. Duchesne is certified by the National Commission for Certification of Physician Assistants. She is also certified by the American Board of Opticianry. Mrs. Duchesne specializes in primary vision care, contact lens fittings, problem-focused eye examinations, pediatric eye care, urgent eye care, and pre- and post-operative care. A native of West Monroe, Mrs. Duchesne is passionate about improving the eye health of her patients and ensuring that they receive the highest level of care. She looks forward to meeting you and your family. Call or stop in today for your annual eye exam.